Over 60, 000 voters will cast their vote in 582 venues when pre-polling begins on Monday. Pre-poll voters include Fijians living in rural areas that are hard to reach, residents of nursing homes, members of the disciplined forces and those under pre-trial detention. 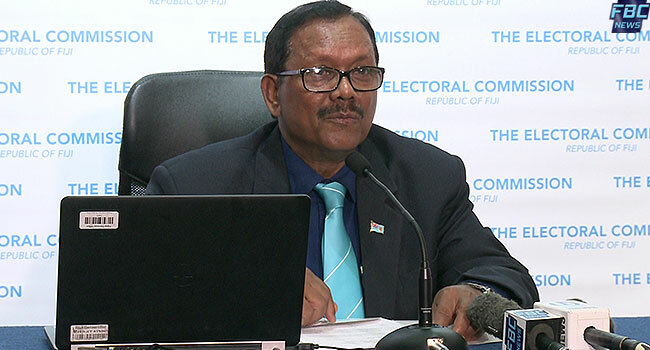 Electoral Commission Chair Suresh Chandra says all the areas that are included in the Pre-Polling period have been made aware that voting begins next week. Chandra says the pre-poll venue with most number of voters is at the RFMF Queen Elizabeth Barracks where 1,438 voters will cast their vote at three stations. The Pre-polling period will end on Friday.